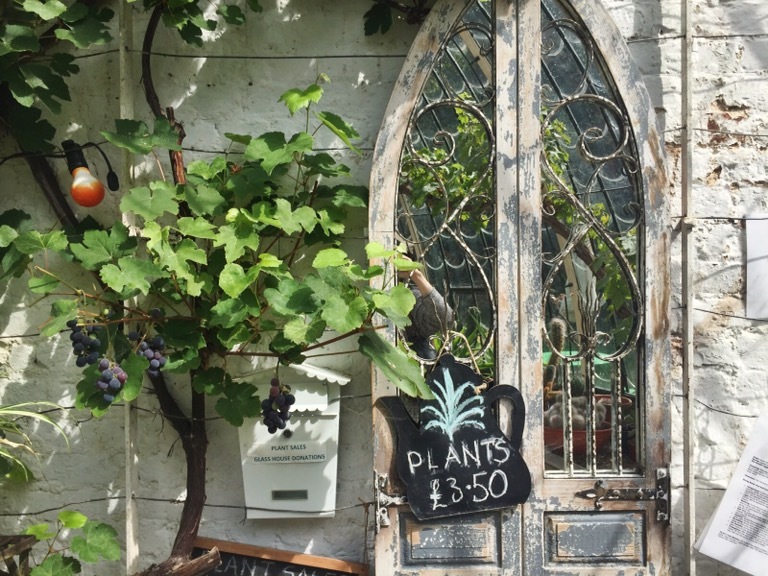 You can hardly tell where to place your order, but the almost hidden door inside the glasshouse leads to a room with a counter laden with homemade cakes. 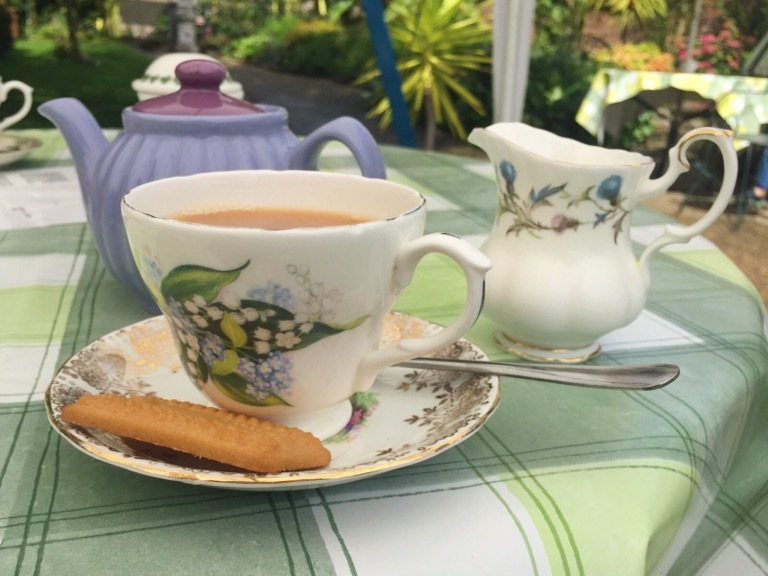 The china is vintage, the tea plentiful and the scones are light and freshly baked. 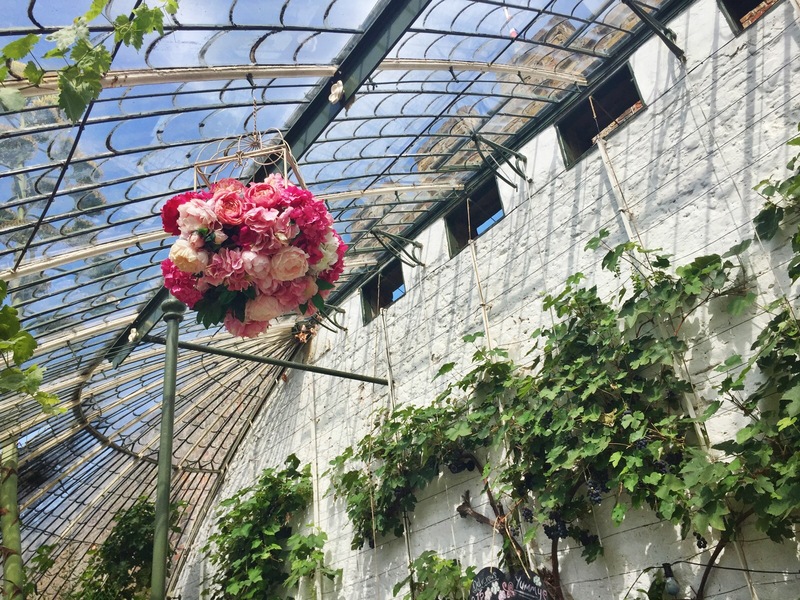 Outside in the garden, there are wrought iron tables and chairs huddled around the glasshouse or under the bunting-decorated marquees. The mad hatter might pop out at any moment. 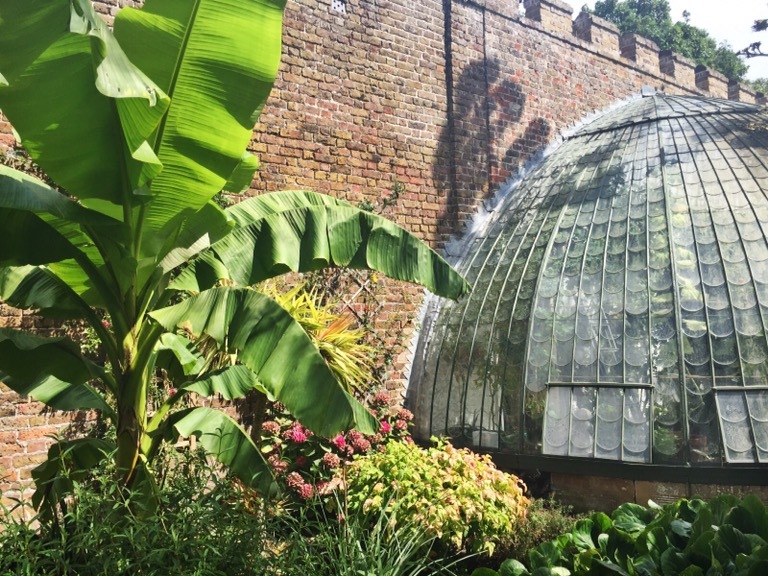 From inside, an 80 year old Mexican agave has burst through the glass. 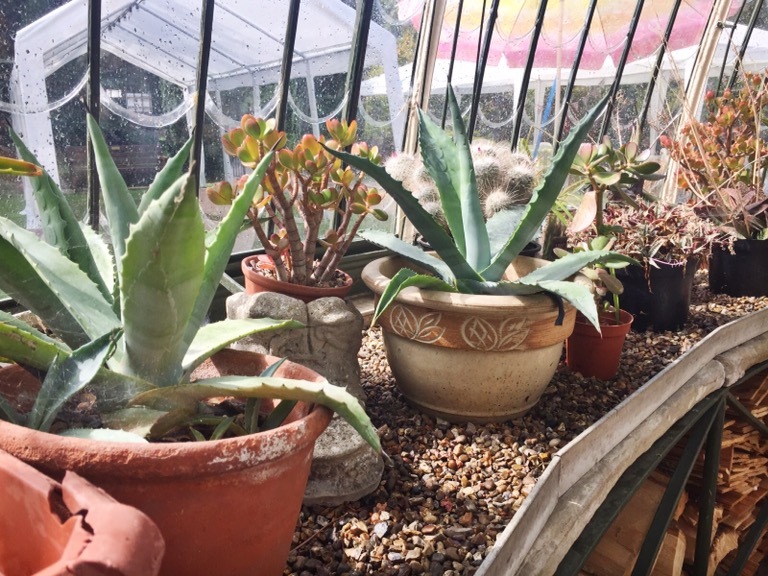 Vines grow inside and out, while cacti, succulents and tomatoes line the edge of the small crescent glasshouse. The garden is so peaceful you may never want to leave. 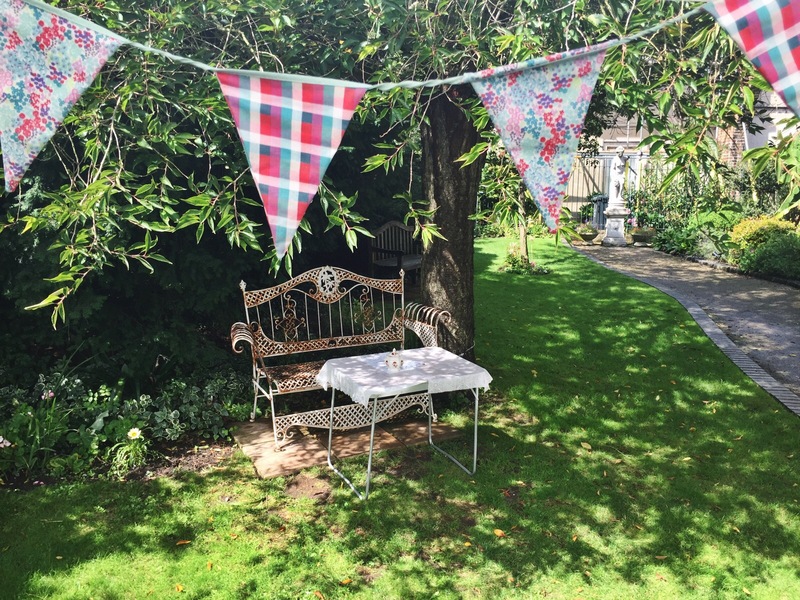 It’s a simple spot, but it’s hard to think of a better place to contemplate the good things in life over a pot of tea. I can’t wait to go back to my secret garden! 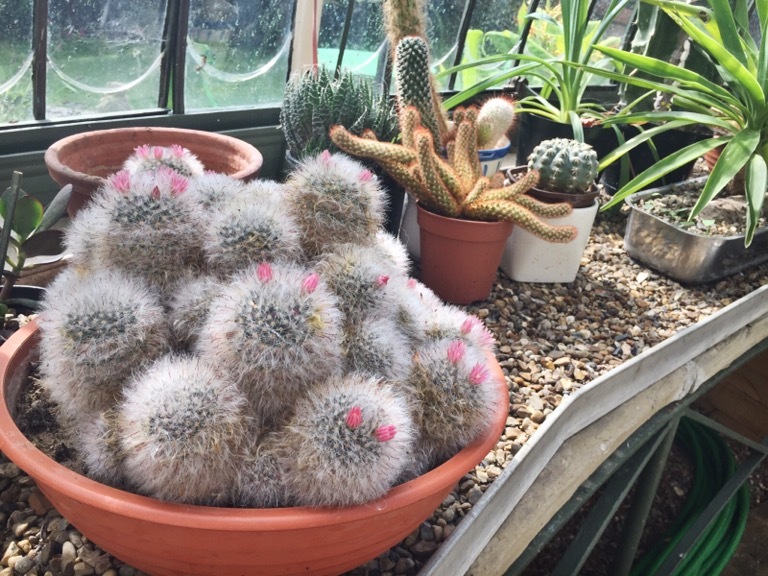 You can’t beat a cactus! Spoiled for choice of cakes. Looks like an amazing place. It’s so near to my house but I haven’t been yet. Wonder what I’m waiting for!